Friday was an awesome day at Carson! 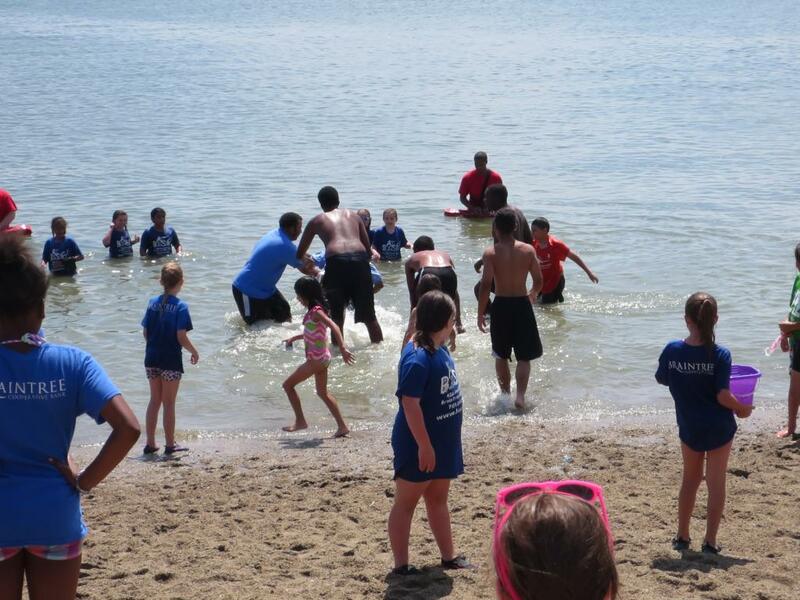 With over two-hundred kids on the beach there was never a dull moment! After I finished signing groups in I took to the beach with the intention of having some fun. When I got on the sand I headed for the sports portion of the activities. 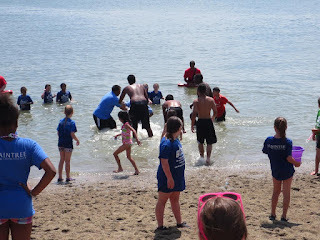 After playing some soccer and playing some catch I helped gather up the kids for the splash! After some very delightful singing (if I do say so myself) the kids were ready to get off of the hot sand and into the cool water. After everybody cooled off we ate some hot dogs. I ate one too many and then headed back to the beach. After some water fights and soaked t-shirts, we were all ready to head back to work. It was crazy to see all of the kids around the beach fish printing, face painting, and just plain having fun. The face painting was so cool to see! The kids were covered in so many different designs! This Friday was definitely a good one.